One of the advantages of the watercolor technique is that you will never obtain two identical pieces, but with Fireworks you can still have a lot of control and keep your design just the way that you want. Today, I will show how easy it is to use the watercolor technique to make a wedding card. 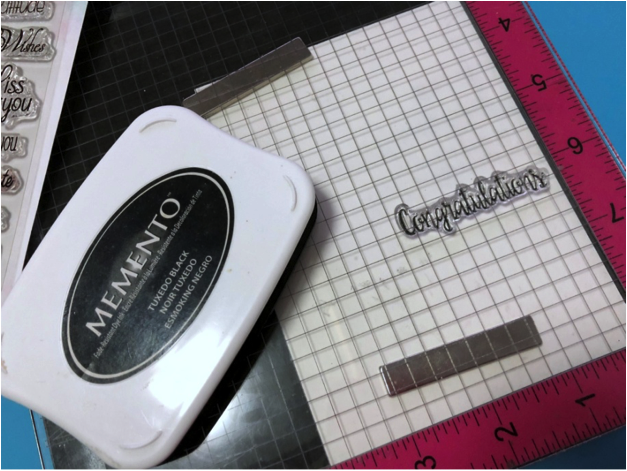 Stamp the sentiment over watercolor paper using Memento Tuxedo Black. 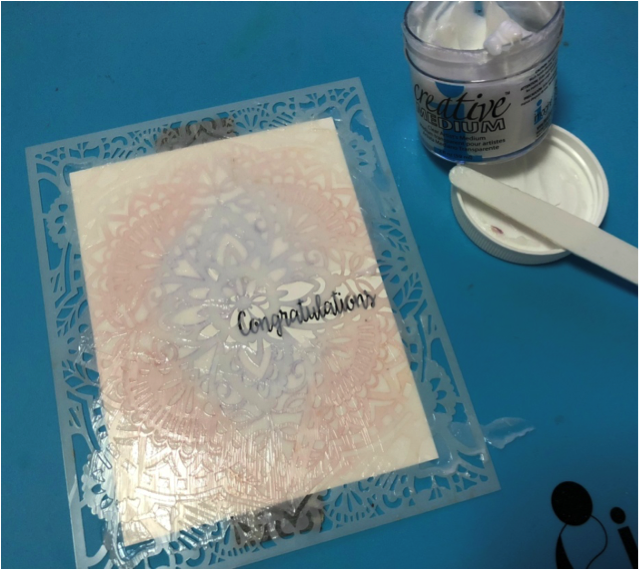 I used a Congratulations stamp from the Every Day Sentiments stamp set by Joy Clair. Here I used my trusty Misti stamping tool to position the sentiment. 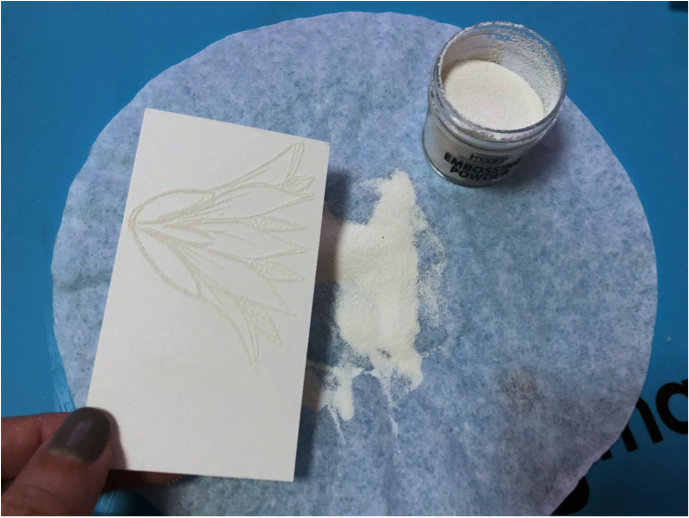 Take a detailed stencil and secure it over your watercolor paper. I used the Glorious Petal Stencil by Hero Arts. 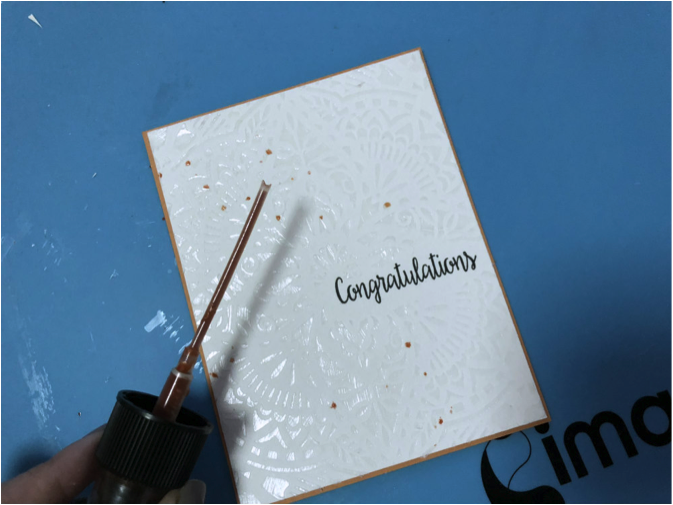 With a palette knife apply the Creative Medium in Clear careful not to cover the “Congratulations” stamped area with the medium. As soon you finish, remove the stencil and wash it with warm water and let the Creative Medium on the paper dry. 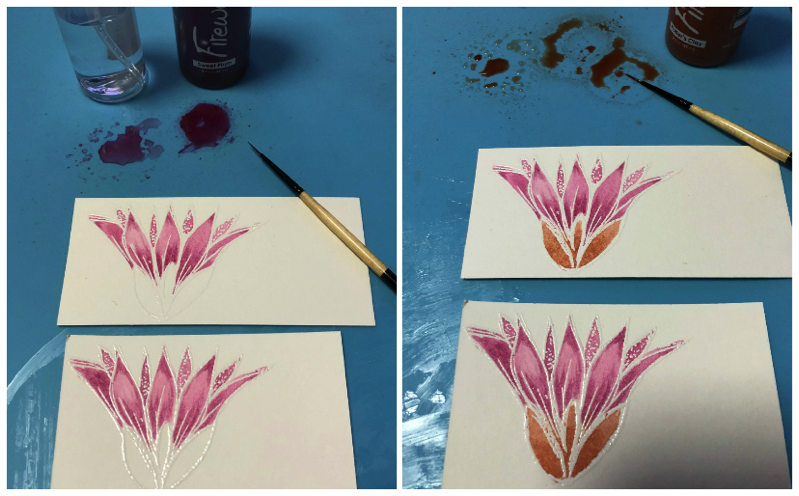 In a separate piece of watercolor paper stamp the flower images using VersaMark and coat with White Embossing Powder. I used one flower included on the stamp set “Love is in the Air” from Dare 2B Artzy. To decorate my project I used three flowers. Heat set embossing powder. Here is where the magic happens! Color the flowers using the Fireworks Shimmery Craft Spray in your favorite colors with a paint brush to obtain the watercolor effect. For me, the best way to color was creating two spots of spray ink on my mat, one mixed with water and other undiluted. I used two different colors on my flowers, Sweet Plum and Potter’s Clay. But using the two dilutions you can achieve variance and depth in your image. Paste the stenciled layer over a color layer and add ink splatter with the spray stick of the Fireworks directly over the stenciled design. If you want you can also use a paintbrush. Splatter the ink as little or as much as you feel. Finalize your card by pasting the watercolor flowers over the stenciled design using double-sided foam tape or dimensionals. Adhere the decorated layers to a card base. 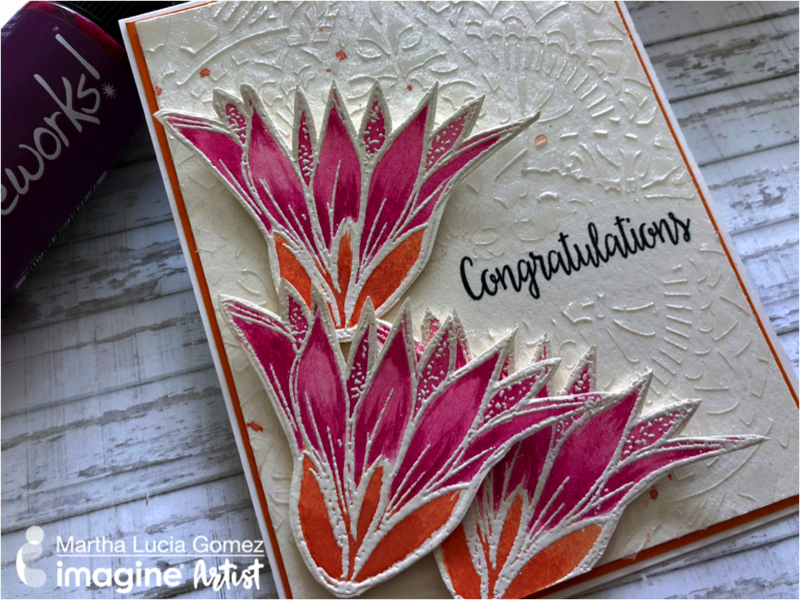 This entry was posted in 2018 ARTIST IN RESIDENCE, Cards, DIFFICULTY LEVEL, DIY, INSPIRATION, Intermediate, Martha Lucia Gomez, PROJECTS, Wedding and tagged cardmaking, Creative Medium, DIY, DIY Inspiration, Fireworks Spray, Fireworks!, Handmade, Memento, Paper Crafting, Wedding, Wedding Cards. Bookmark the permalink.